In Rize (Turkey), the International Black Sea Cultural, Tourism and Media Forum opened its work. The Forum is dedicated to the situation in the world and, in particular, the events of July 15, 2016. On the forum, Ukraine is represented by the news agency QHA and Radio Hayat in particular, their director, member of the Mejlis Gayana Yüksel and journalist Medine Ayedinova, as well as the TV channel 112 Ukraine and its journalist Yana Tanchak. The main topic of discussion is the events of July 15, when an unsuccessful coup attempt was made in Turkey. Also, panels will be opened to discuss the freedom of Western media and today's events in the world. 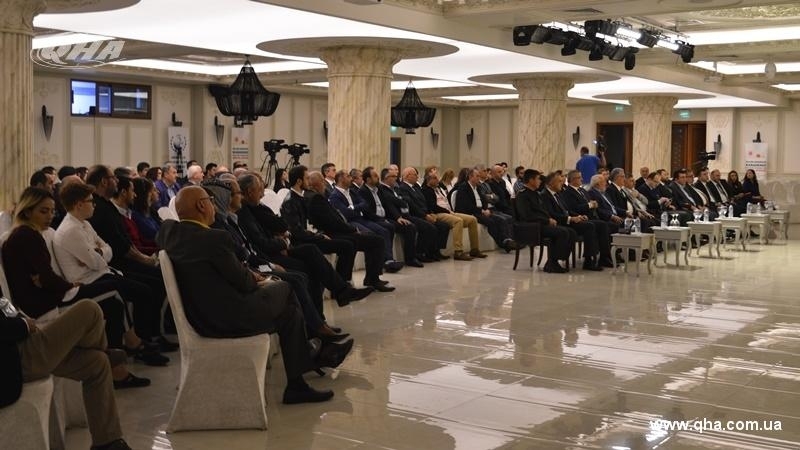 At the opening of the forum the journalists were addressed by the Governor of Rize Erdogan Bektash, the Deputy General Secretary of the AKP party Hayati Yazıcı, the Deputy of the parliament from the city and other official guests. Also, a speech by the representative of Ukraine at the forum, a member of the Mejlis of the Crimean Tatar people and the director of the QHA news agency Gayana Yuksel is scheduled to tell the audience about the situation in the Crimea after the occupation, as well as about the oppression of Crimean Tatars and pro-Ukrainian activists. “For us, participation is another opportunity to tell the international community about what is happening in Ukraine and the Crimea. In my speech I want to focus on the situation with human rights and the situation in the field of freedom of speech on the peninsula. And to tell about the violation of the rights of the Crimean Tatars and the policy pursued by Russia towards the indigenous people,” she noted.